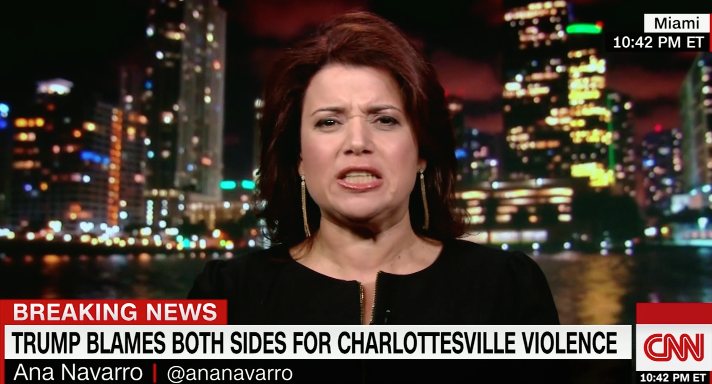 Vocal anti-Trump CNN pundit, Ana Navarro, is a self-proclaimed Republican consultant. However, as LifeZette alleged, Navarro has donated to Democratic politicians since 1997. Who are some of the recipients of her donations? None other than New Jersey U.S. Senater Bob Menendez, currently on trial for corruption charges, and former Democratic National Committee chairwoman Debbie Wasserman Schultz, who is embroiled in an IT investigation involving a former staffer from Pakistan. Why does CNN continue to claim that Navarro is a Republican consultant?